Merchandise Categories > Non-Fiction > What Color Is Your Parachute? 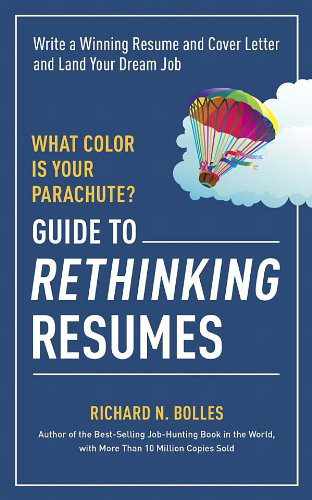 This timely resource features the latest research on important resume topics such as key words, soft skills, scanning software, social media, and online posting. Bolles argues that on the basis of what we now know, we need to rethink what a resume is—and how it should be written. He details the words that must be avoided, and the words that must be used, on a resume that wins you interviews.